Just to the North East of Seeley Lake, is the Bob Marshall Wilderness. Designated in 1964 and is now a total of 1,009,356 acres, this entire wilderness is located in Montana and was named after an early forester, author, explorer, wilderness preservation pioneer, and Wilderness Society cofounder. The Bob Marshall Wilderness is one of the most completely preserved mountain ecosystems in the world and includes the North and South Forks of the Sun River and the South Fork of the Flathead River. It runs for 60 miles along the Continental Divide, with elevations ranging from 4,000 to more than 9,000 feet. It boasts rugged peaks, alpine lakes, cascading waterfalls, grassy meadows with shimmering streams, a towering coniferous forest, and big river valleys. The Chinese Wall is one of the most spectacular sights in the Bob Marshall, and is also known as the Lewis Overthrust. It is the result of geologic upheaval in which Montana split in half (and wide open) from Glacier Park on the north nearly to Yellowstone Park on the south. As the earth’s crust split, the west side tipped up like a roof, and the east side slid underneath for nearly 20 miles. Among the wildlife that naturally inhabits the Bob Marshall are the grizzly bear, lynx, mountain lion, wolf, black bear, moose, bighorn sheep, mountain goat, whitetail and mule deer, elk and various other birds, mammals and plants. Also, this idyllic wilderness has more than 1,000 miles of trails for all skills of hikers - from well-used and maintained trails, to more primitive trails that take you into the heart of Montana’s wilderness. Main trails are kept open from June through November by Forest Service trail crews, area outfitters, and guides. 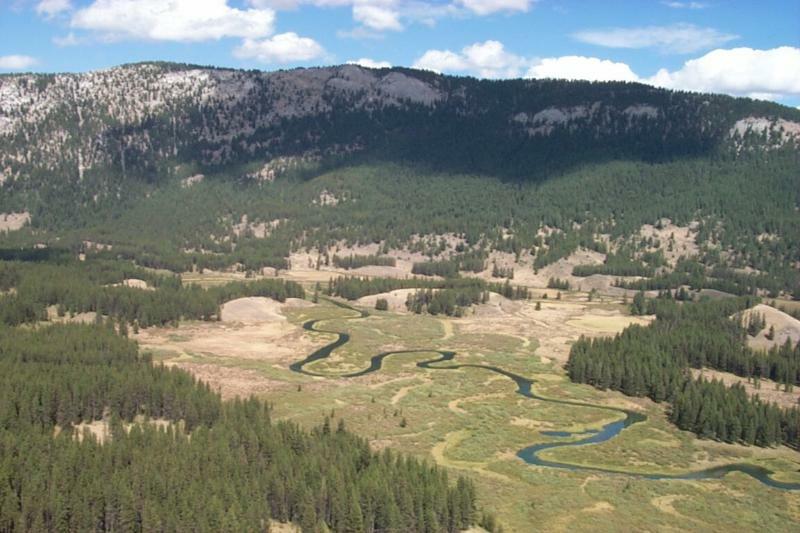 If you’re thinking of visiting this rich natural wilderness area, read these FAQs and visit the Bob Marshall Wilderness Foundation website .